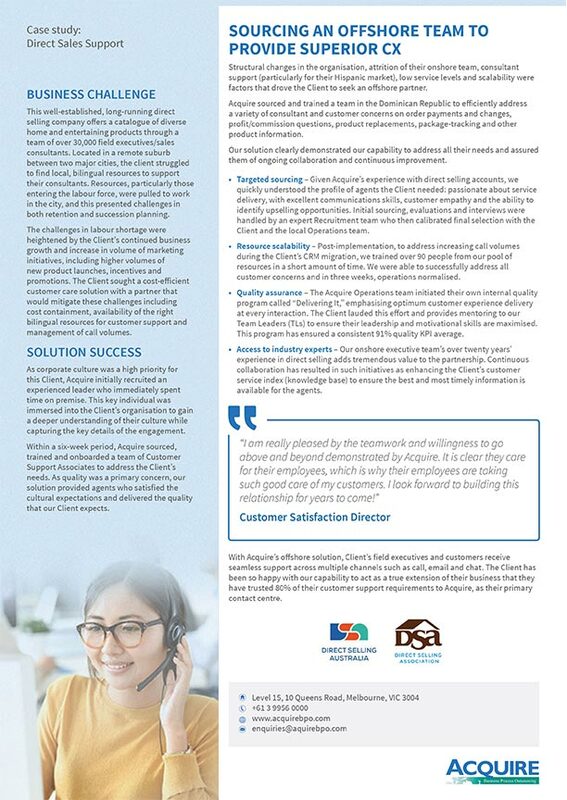 Learn how Acquire’s expertise in providing seamless support across voice, email and chat channels has helped a well-established direct selling company take exceptional care of its customers. 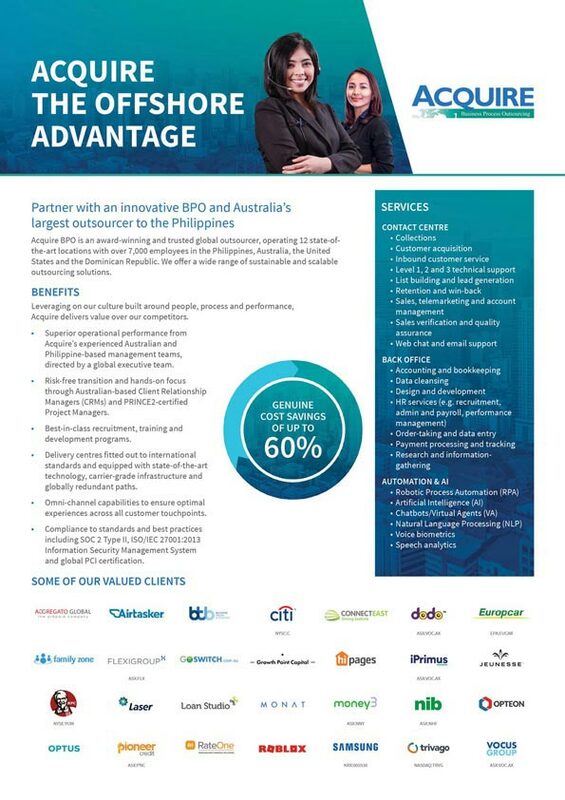 At Acquire, we’re the trusted partner of global organisations across multiple industries to deliver data-rich, intelligent contact centre and back-office functions. 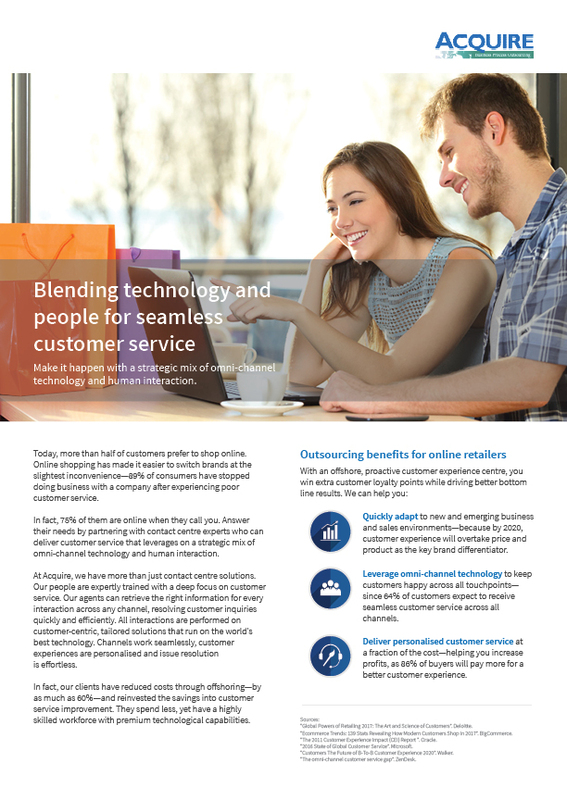 Provide a frictionless online retail experience with our full range of back-office, customer and sales support. 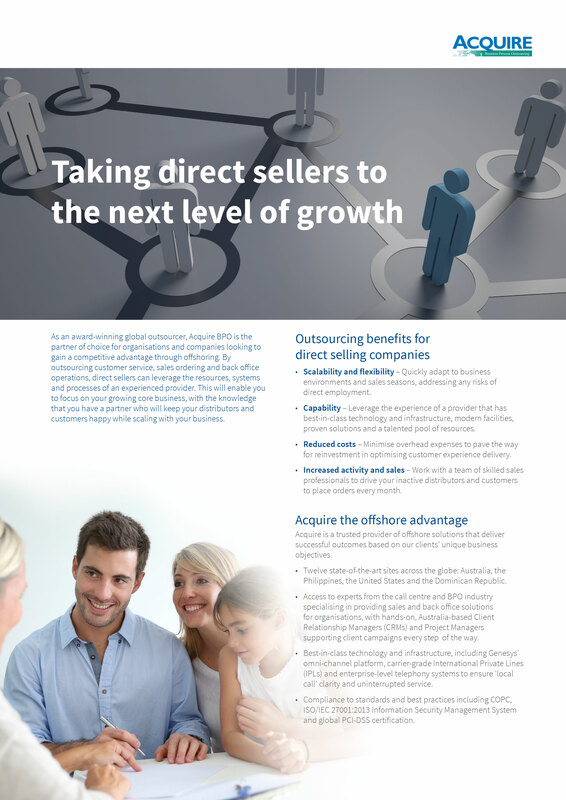 We provide scalable operations that can match business growth. Enable hassle-free customer service with quicker claims and requests processing using our secure offshore services that combine top-tier technology and expert insurance professionals. Drive up sales with after-hours customer service, sales ordering and back office operations that help improve productivity and retention—keeping distributors and customers happy. 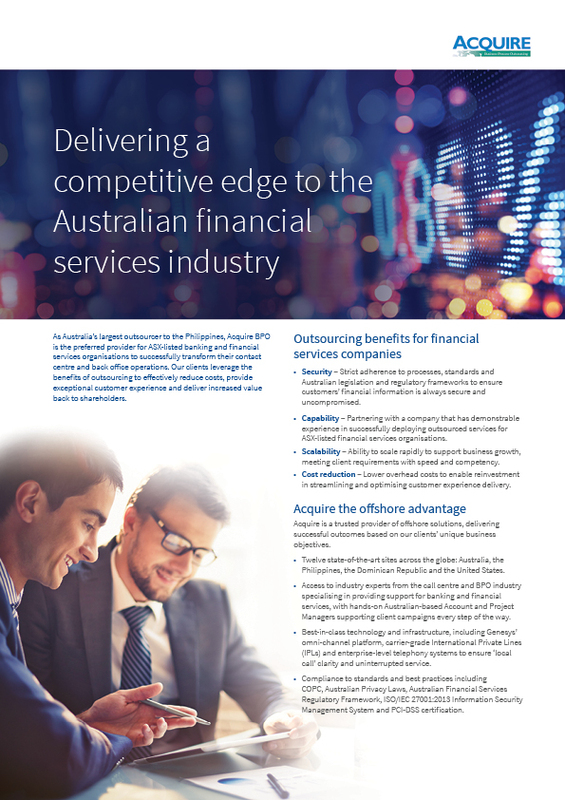 Leverage on our PCI-DSS certified and industry regulations compliant offshore services to improve operations, customer experience and even keep track of your bottomline—all while keeping costs down without compromising security, quality and speed. 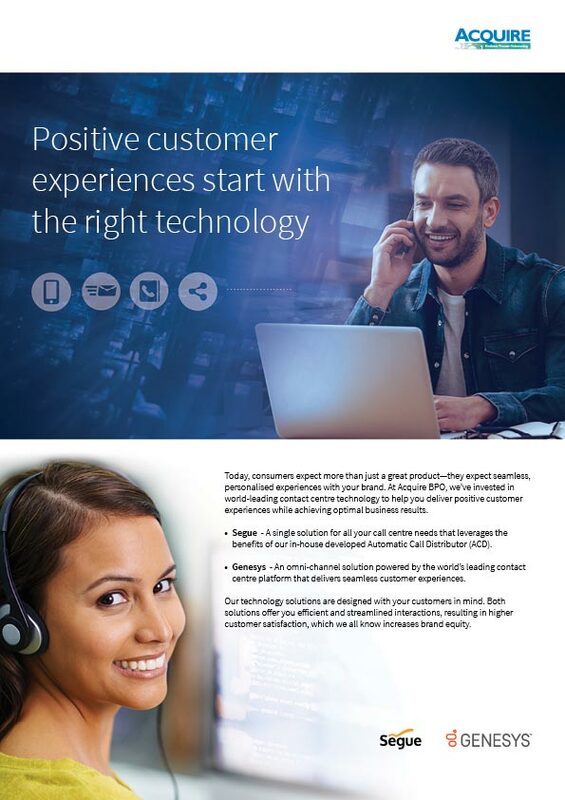 The right technology plays a crucial role in delivering better customer experiences and better business results for our customers. Learn more about our technology offerings. 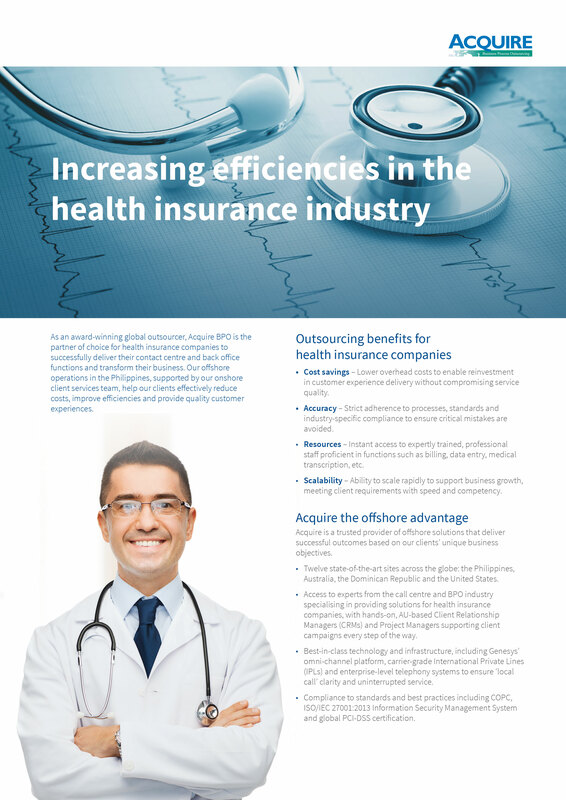 Learn about the benefits of offshore outsourcing with Acquire and get an overview of our solutions in this brochure. 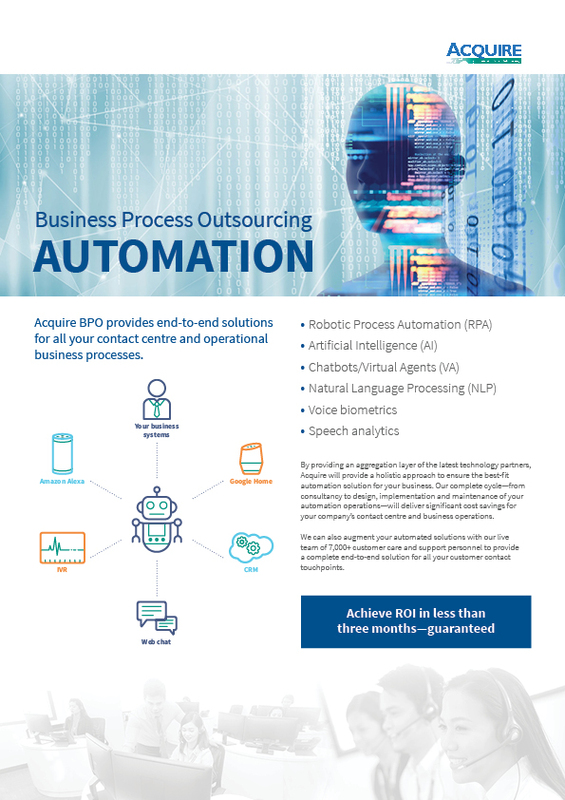 Our comprehensive introduction to Acquire BPO. Get an in-depth look at our history, services, methodology, locations and technology.